​Outside of Masahiro Tanaka and a couple solid outings from Domingo German, the New York Yankees' starting rotation is in ruins at the moment. James Paxton and J.A. Happ haven't performed, and who knows when ​Luis Severino is coming back, if at all this year. Yes, C.C. Sabathia had a strong showing in his return from the IL on Saturday, but where's the balance for the entire unit? The only other depth they have who has been a staple in a big league rotation is Gio Gonzalez down in Triple-A. Is that good enough to get through the AL East? Riding Severino and a cast of veterans appeared to be the game plan at the start of the season, but with Severino's injury things have changed. 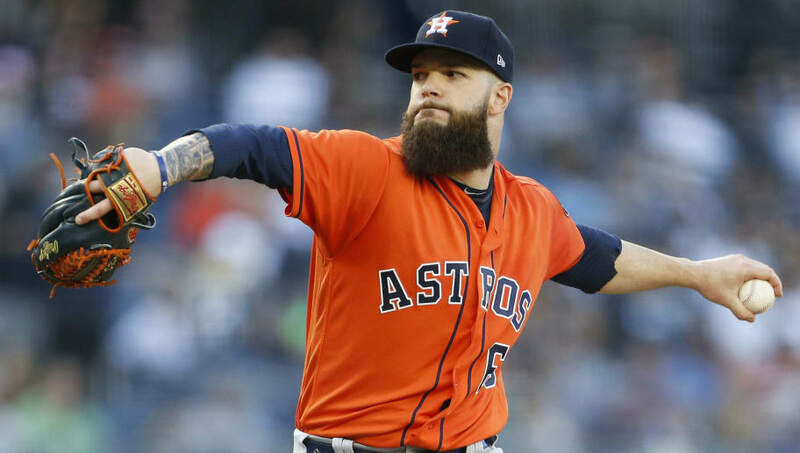 It's time to make a move, and former AL Cy Young Award winner ​Dallas Keuchel is sitting out on the free agent market, waiting. Keuchel recently threw 100 pitches in a simulated game to keep himself ready, but if he signed tomorrow, he would need to make some minor league starts to get himself ready. That should be totally worth it for a Yankee team that has a middle-of-the-pack rotation, at best. There is so much riding on this season that the Yankees can't afford to ride it out with what they have, even if Severino needs surgery and is lost for the season. They need to put their chips at the center of the table and try to win, and adding someone of Keuchel's caliber could do that. He may not have elite stuff, but he's a strike thrower with a lot of success in the American League, posting a 76-63 record with a 3.66 ERA in 192 career games (183 starts). Keuchel also has plenty of postseason success with a 4-2 record and 3.31 ERA in 10 career games (nine starts), and in five career starts at Yankee Stadium, he's 3-2 with a 2.45 ERA. He can pitch under pressure and in New York? That's the kind of pitcher they want and need.